ปัจจุบัน เมื่อไปค้นหาชื่อ ซีโต้ หรือซีอาโต้ ในกูเกิ้ล เจอแต่ชื่อบริษัท และชื่อผลิตภัณฑ์แท้งค์น้ำ ยังมีใครจำความหมายขององค์การนี้ได้บ้างไหมนี่? Speakers there are allowed to speak as long as the police consider their speeches lawful. Contrary to popular belief, there is no immunity from the law, nor are any subjects proscribed, but in practice the police tend to be tolerant and therefore only intervene when they receive a complaint or if they hear profanity. 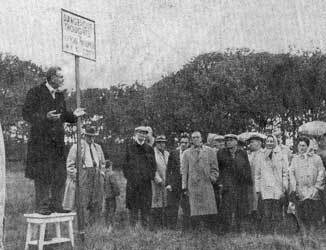 Historically there were a number of other areas designated as Speakers' Corners in other parks in London, (e.g. Finsbury Park, Clapham Common, Kennington Park and Victoria Park) as well as other countries. In 1955, Marshal Plaek Pibulsonggram had visited the London as part of an international tour. He became impressed with the 'Speakers' Corner' in Hyde Park. Upon his return to Thailand a 'Hyde Park' space for free speech and assembly was instituted at the Phramane Grounds in Bangkok. The experiment was well received and effectively stimulated political debate. The experiment was not appreciated by the government though, and in February 1956 restrictions were imposed on the Phramane 'Hyde Park'. 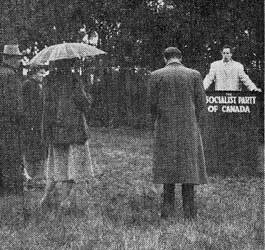 However, during this period the Hyde Park Movement Party had evolved, upholding the legacy of the Hyde Park experiment. The Southeast Asia Treaty Organisation (SEATO) was an international organisation for collective defense which was signed on September 8, 1954. The formal institution of SEATO was established at a meeting of treaty partners in Bangkok in February 1955. It was primarily created to block further communist gains in Southeast Asia. The organization's headquarters were located in Bangkok, Thailand. SEATO was dissolved on June 30, 1977.